Sept. 18 (NBD) -- Rafal Sarnecki, an award-winning jazz guitarist and composer, gave a jazz performance together with other artists at the 2018 Chengdu International Bookstore Forum on Monday, interpreting the modern jazz music and winning thunderous applause from audience. Born in Warsaw, Poland, Rafal Sarnecki has been living in New York for over 13 years and has become one of the most sought-after jazz composers of his generation. Sarnecki has toured China, South Korea, Malaysia, Chile, Israel, the East and West Coast of the U.S. and many European countries. He has shared the stage with many top names from the U.S. jazz circle, including Ben Wendel. Right after the performance, Sarnecki had an exclusive interview with NBD. In the interview, Sarnecki talked about the current situation of jazz music, jazz music education in China, cross boundary music communication, and innovation of jazz music from a professional perspective. NBD: In the process of its development, apart from the origins of African-American music, jazz absorbed many other music styles from different cultures, gradually forming today's multi-type jazz and delivering more diverse contents. As a well-known guitarist and composer, how do you understand the current situation of jazz? Rafal Sarnecki: People use the word "jazz" in many different contexts and meanings. There are many discussions about jazz as well. My definition of the word "jazz" is in a traditional way, but I also accept the fact that many people call other improvised styles of music jazz. For example, what I'm playing is not exactly jazz music. I would say my compositions can be jazz music because they are played by musicians who play in a jazz style, articulation and rhythm. However, my compositions can be also played by musicians who come from different backgrounds. NBD: Although China has made great progress in pop music in recent years, jazz music seems to be relatively new to most music fans. In your opinion, what efforts should the Chinese music education community make for the education and popularization of jazz? Rafal Sarnecki: I think China's jazz music education is doing well. I feel like there are more and more (jazz music) teachers from the U.S., so a lot of (Chinese) students are learning directly from people who grow up in American culture, and getting good foundation in jazz music. For example, our American drummer played with actual Jazz feel. So even if (Chinese students) end up playing different styles of music, but when it comes to the basic part, they study from a good source. Hence I think China is in a good way (in terms of jazz education), I can see a lot of Chinese musicians moving to the U.S. and bringing their knowledge back to China. When I moved to New York 13 years ago, I didn't know any single musician from China, today I know 50-ish jazz musicians from China. I play with them, we play sessions, we hang out together, they teach me mandarin, sometimes I teach them composition. NBD: The theme of the session you participated in at the forum is "cross boundary music communication". In your view, what's the meaning of cross boundary music communication? Rafal Sarnecki: I feel like musicians from different cultures bring something new to the music that corresponds not only to the cultures they grew up in, but also the languages they speak. I remember the first time I came to the New York, I met musicians from different countries. Regardless of the level of expertise in jazz music, I think it was a very beautiful thing because in music you can hear everything, you can hear the place where people grew up, the culture they were involved with, I think that's what makes music, especially improvised music, beautiful. Jazz is a very special genre of music, and has become a popular music style all over the world. Musicians from different countries who meet for the first time can actually communicate right away, without figuring out any plans. NBD: In your view, how should music communication between China and the West be conducted in order to produce an ideal output? Which institutions should be involved? 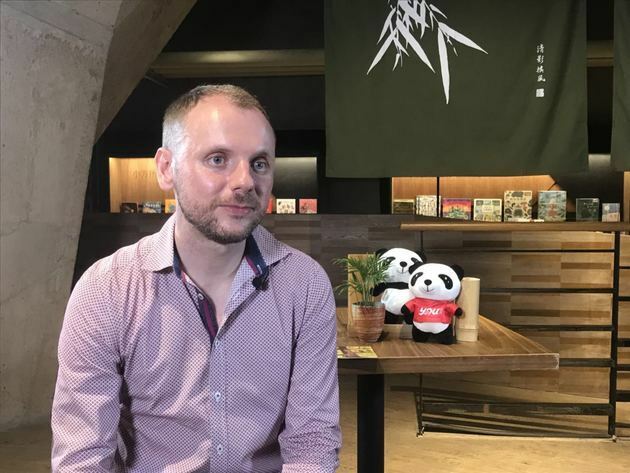 Rafal Sarnecki: To me, it's important that while introducing western music, China needs to stick with its own culture as much as possible. For example, I believe my country Poland went a little bit too far away from our own culture, we don't know our folk music/tradition, we don't know our musical roots. So I would say for China, it is really important to keep their traditional music as much as possible, and try to find a way to present something that would be attractive to the audience, whether it's improvised music or pop music. That's not a copy of American music, but something that people from Chinese culture can appreciate. NBD: Jazz originated from New Orleans' African American community and gradually developed into a unique music genre. What do you make of jazz's innovation? Rafal Sarnecki: Music innovation is an interesting topic because a lot of innovations in music created the amount of dissonance and complexity that made jazz a very "underground" genre of music. Jazz used to be a pop music, today it's a style that dedicated to a very narrow group of people. So I would say innovation should not go to the direction of complexity. I believe at the same time we should search innovation, not actually complexity but some brilliant news ideas to create something beautiful. That doesn't have to be super dissonant or super rhythmically complicated, but should be something that sounds beautiful and fresh.